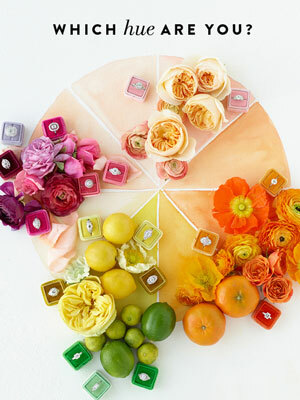 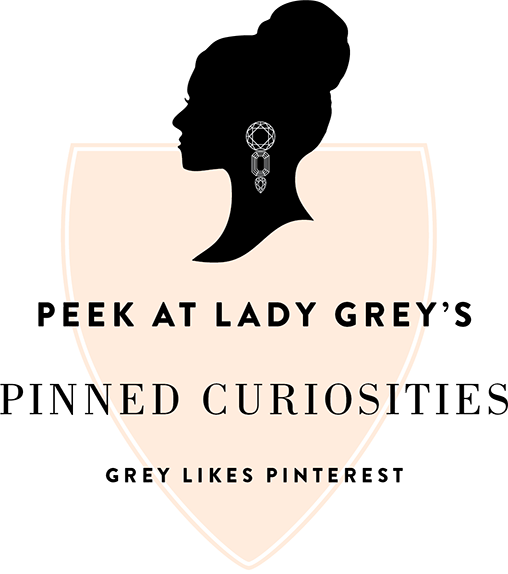 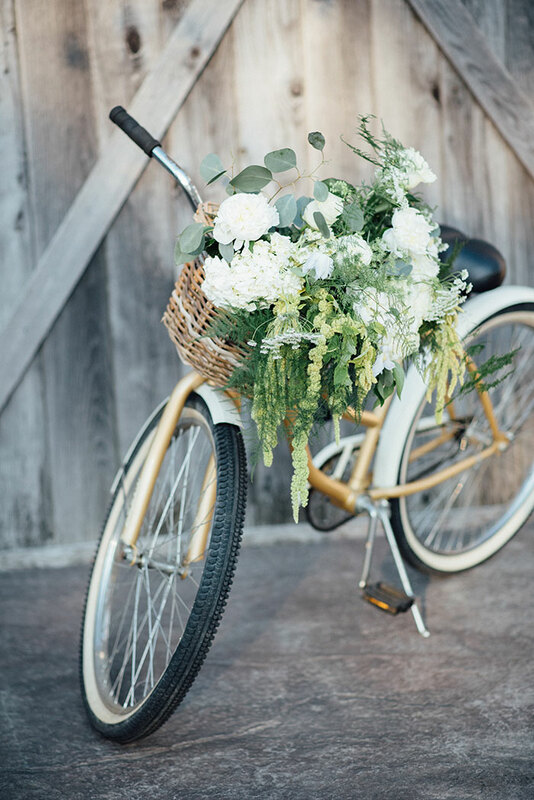 We’re celebrating the last day of summer (gah!) 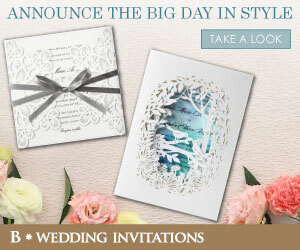 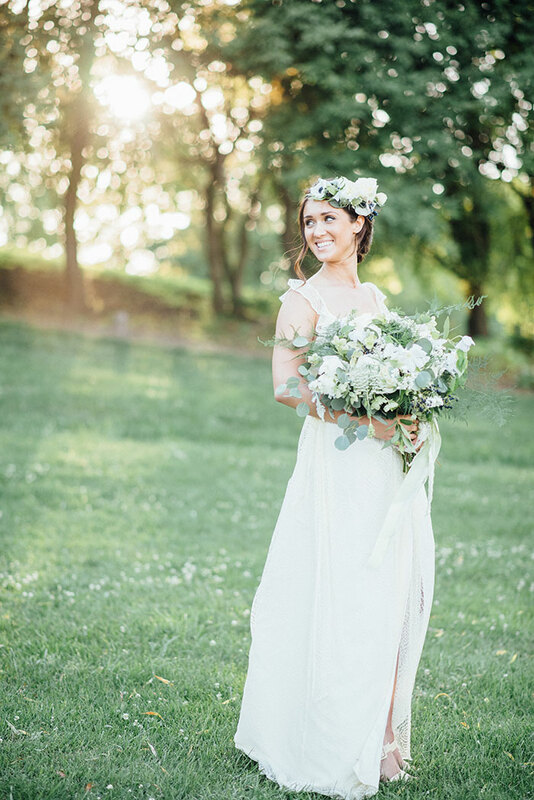 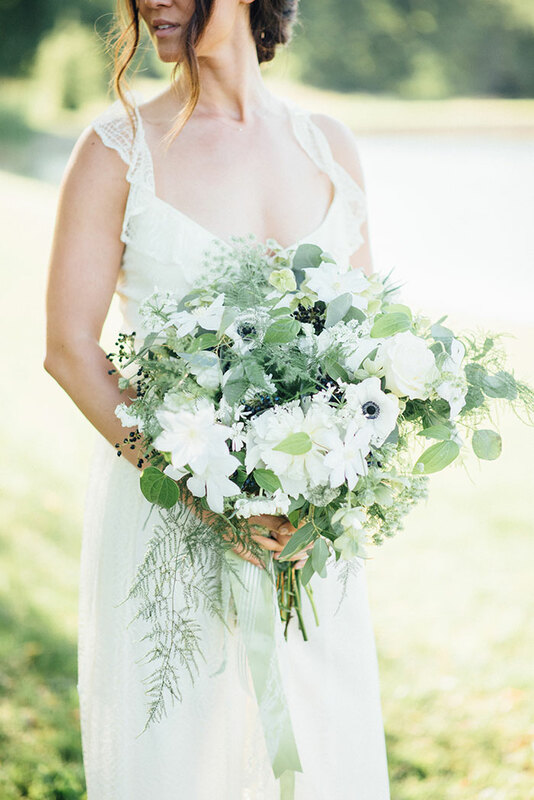 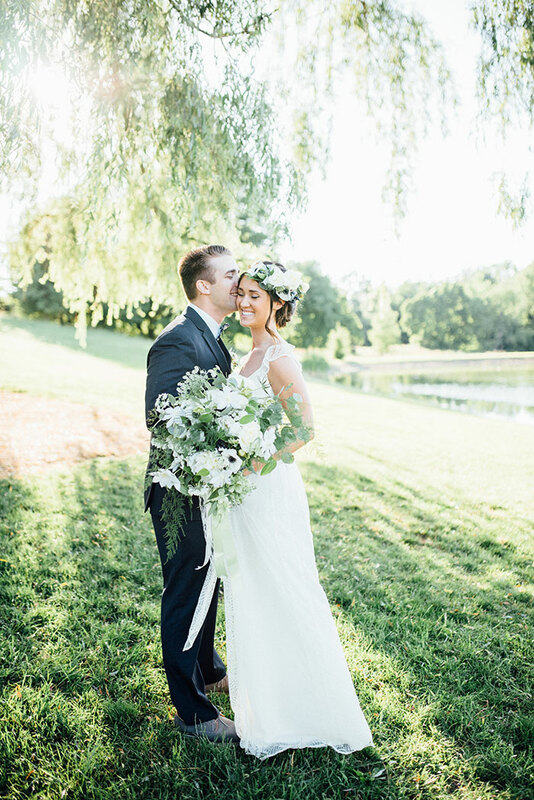 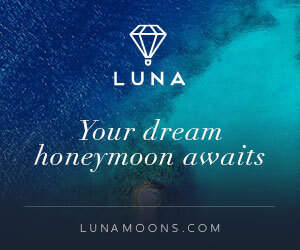 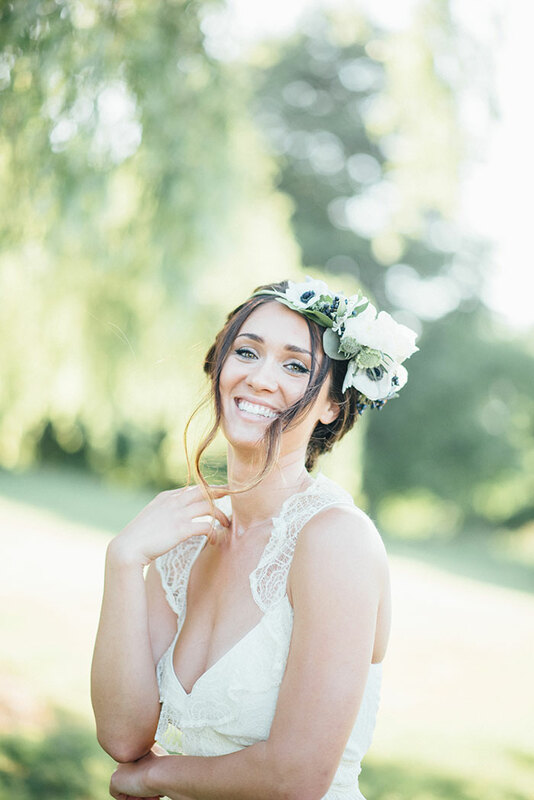 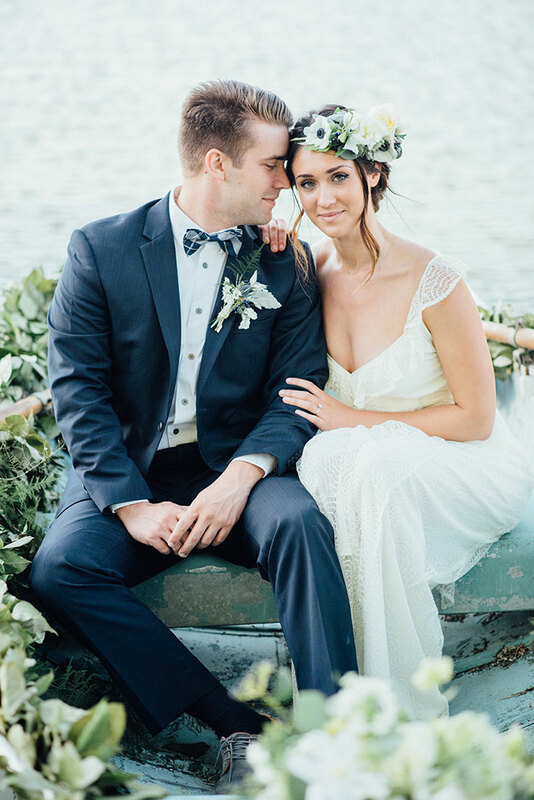 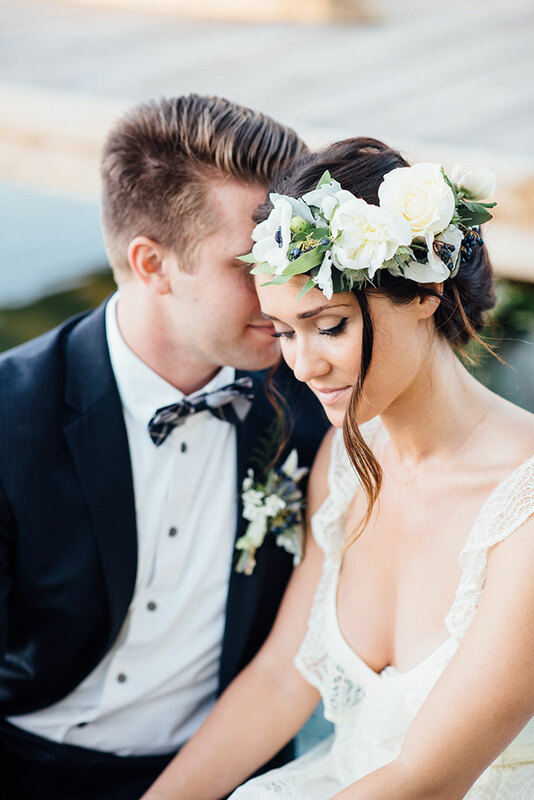 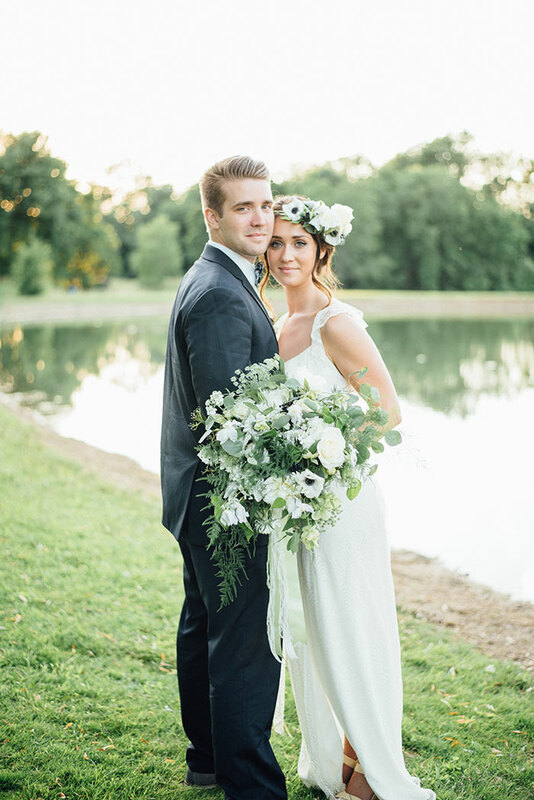 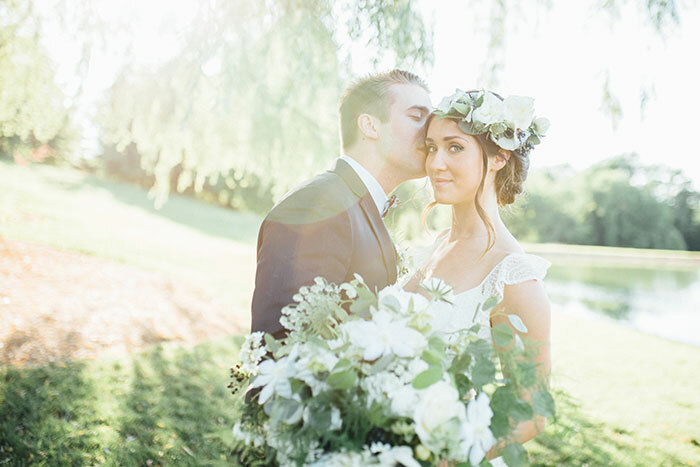 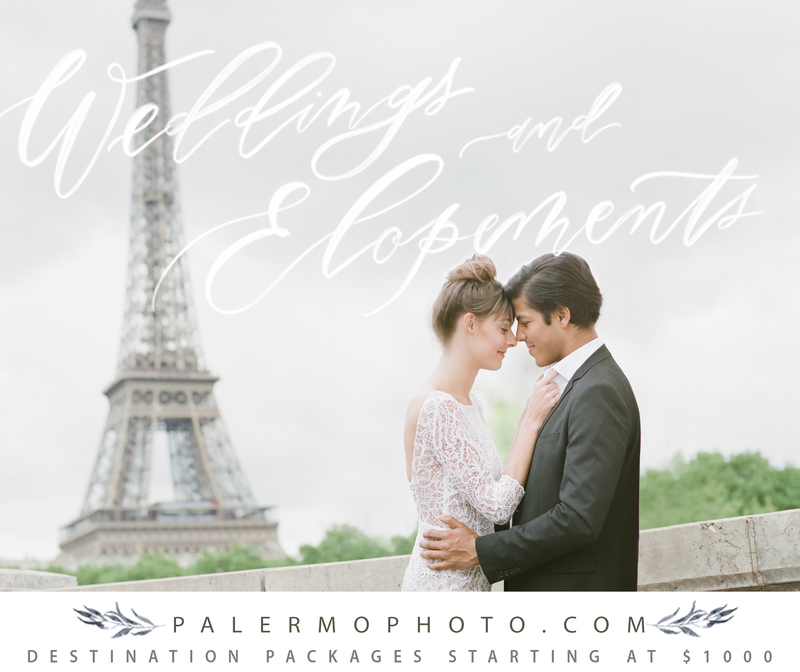 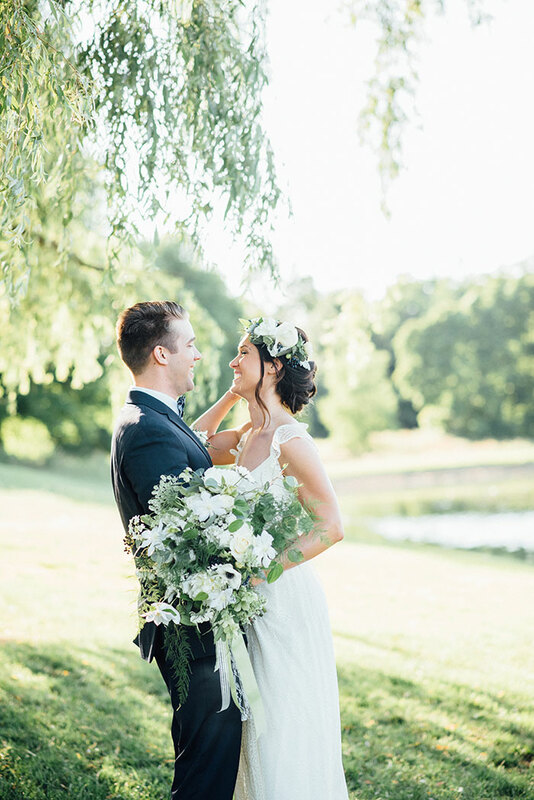 with a gorgeous summer-inspired styled shoot. 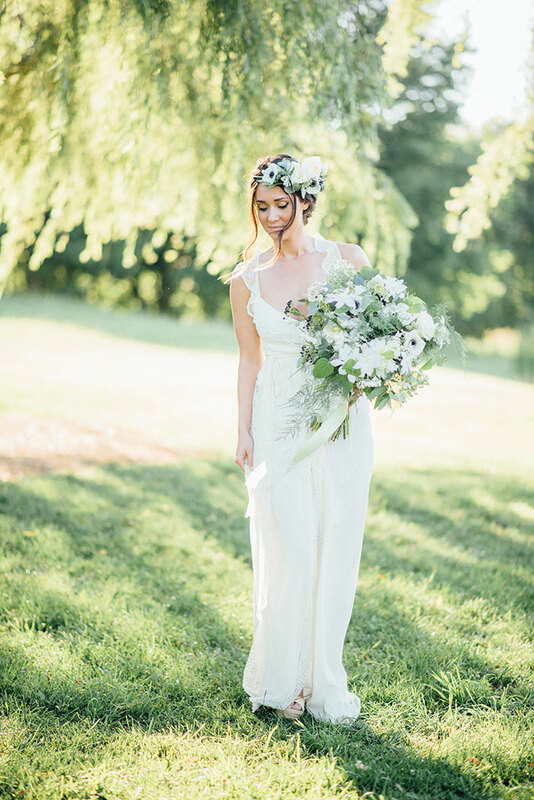 Just before sunset, on a beautiful summer evening, JPC Event Group and Garnish Event Design headed to Rustic Acres Farm to bring an ethereal, yet rustically elegant vision to life. 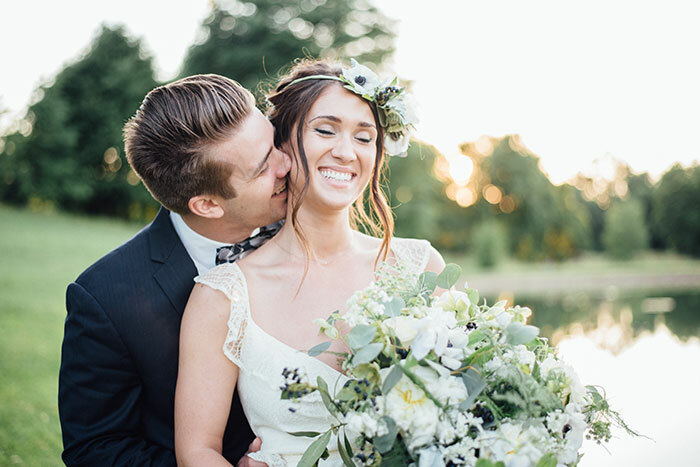 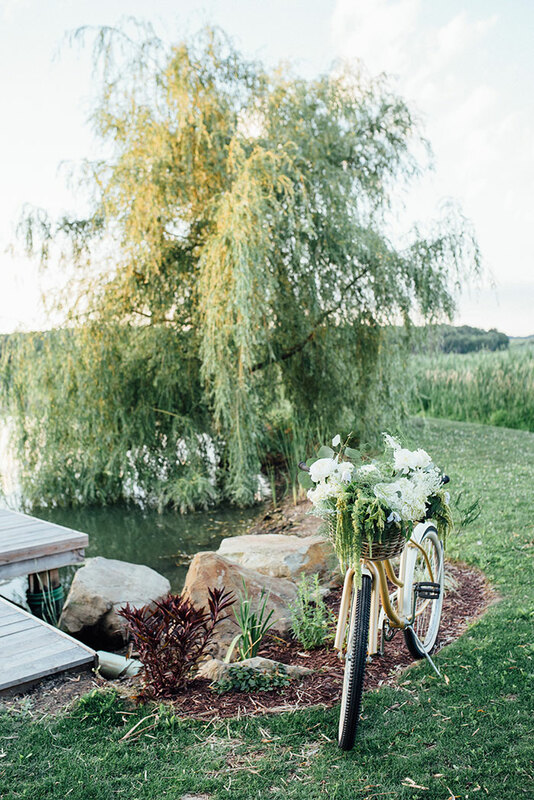 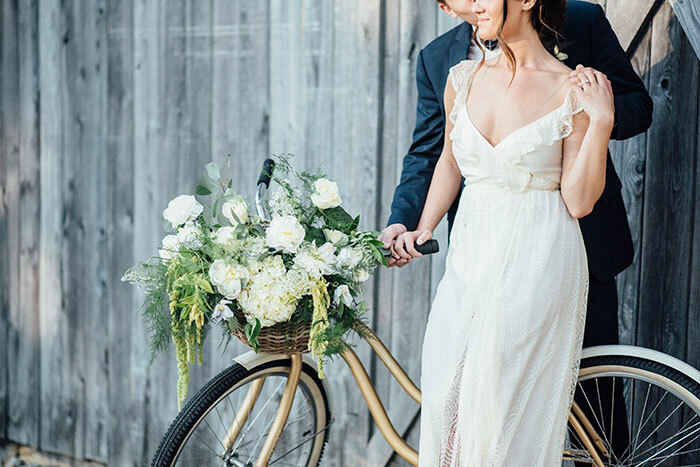 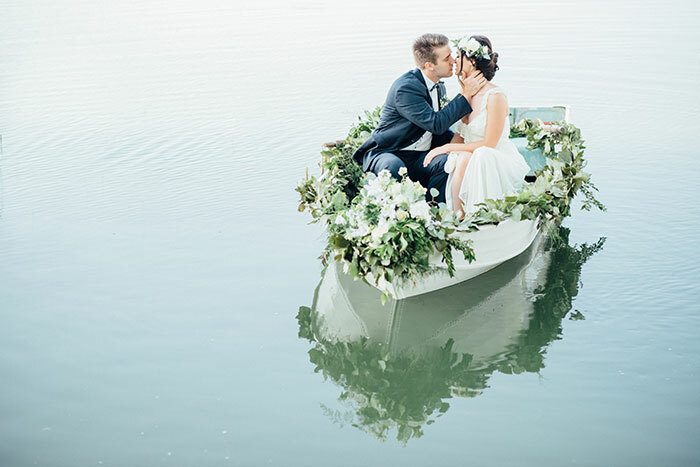 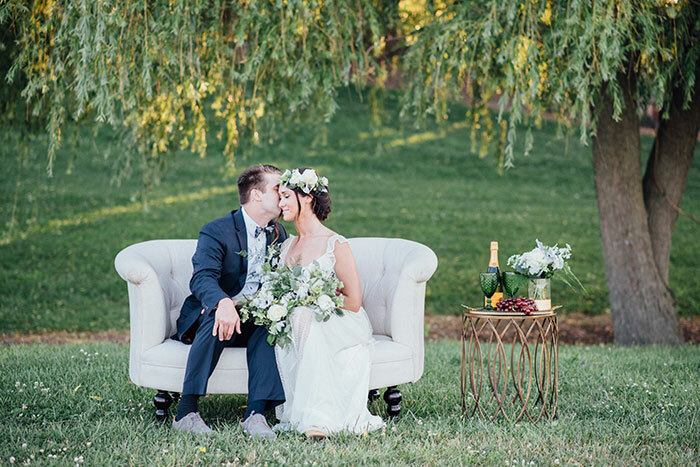 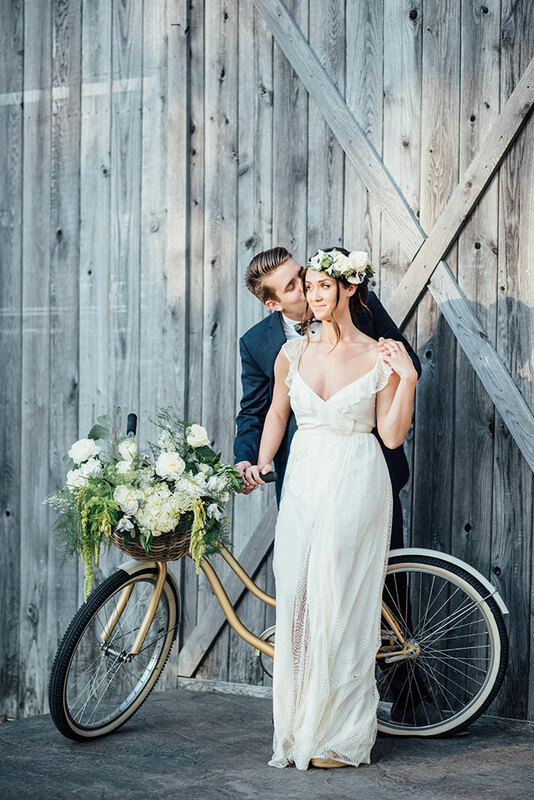 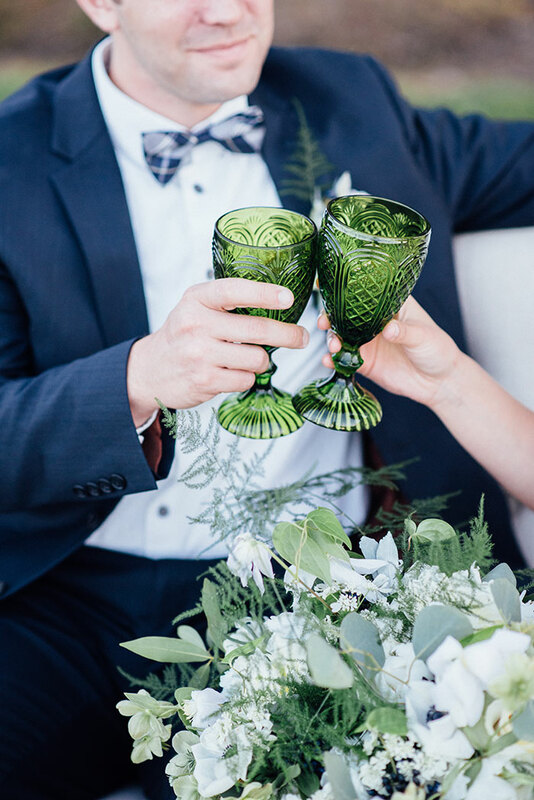 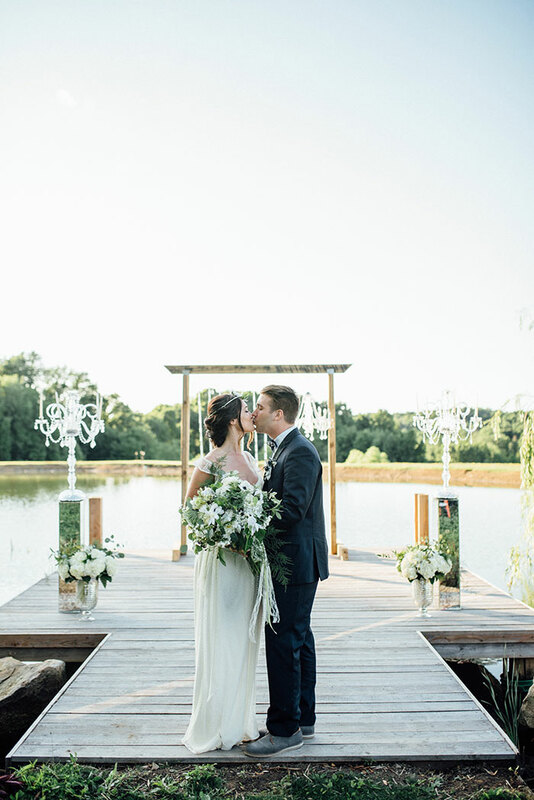 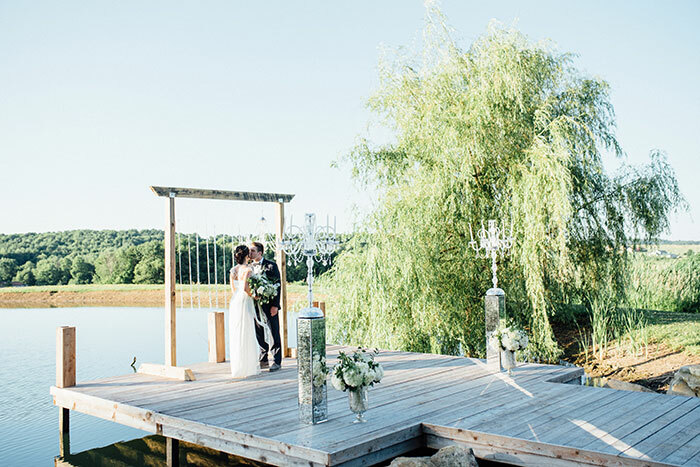 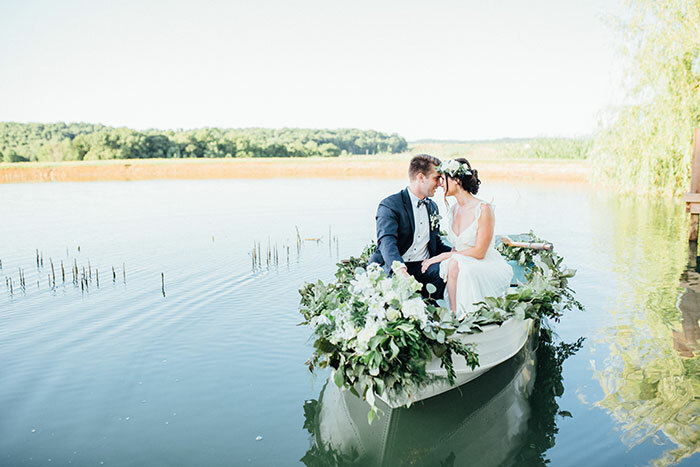 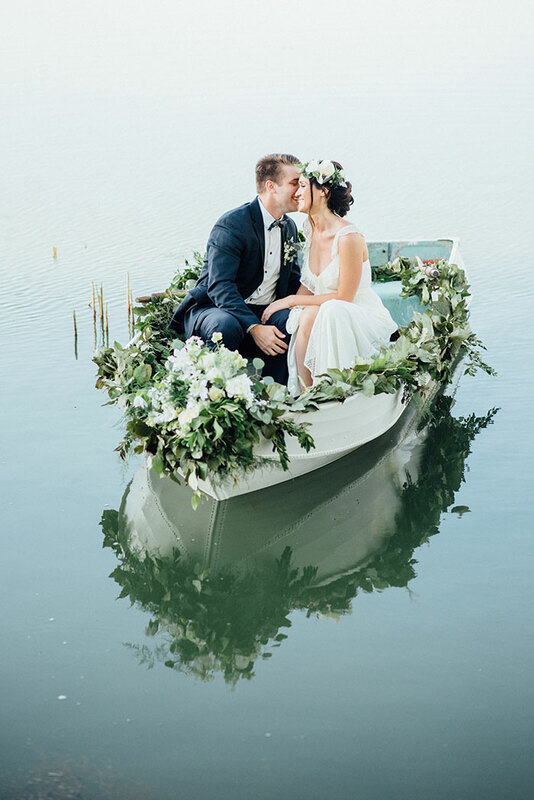 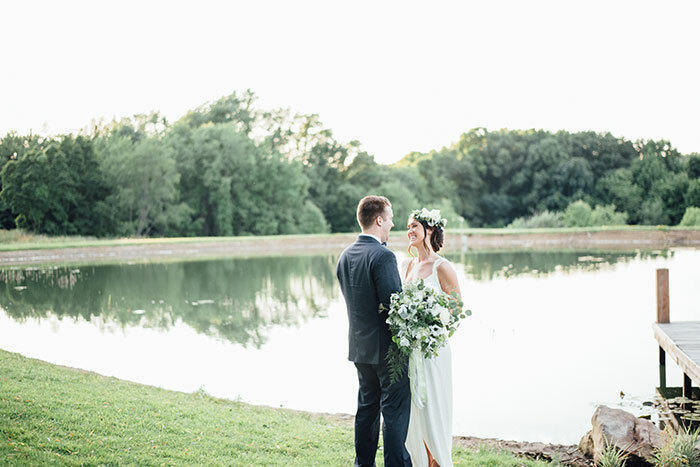 With the picture perfect back drop of rolling fields, statuesque willow trees and grazing horses, real-life couple Ashlee and Nate boat, bike, cheers and traipse the grounds of their soon-to-be wedding venue. 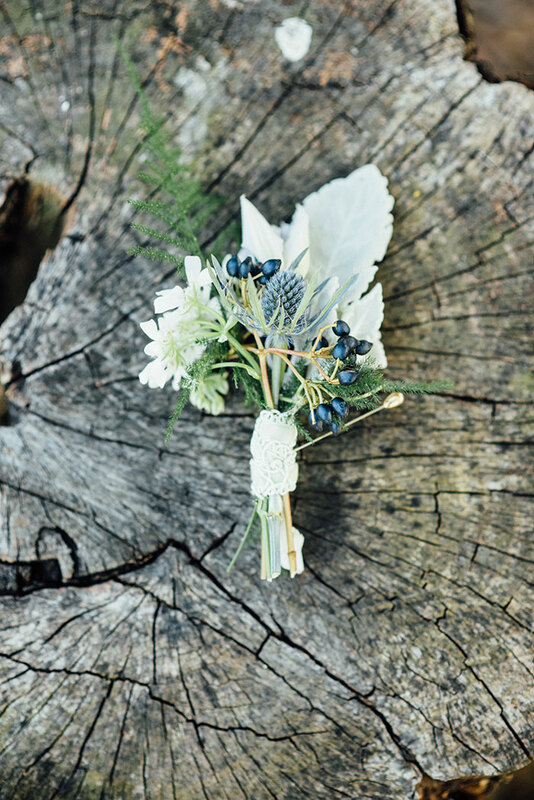 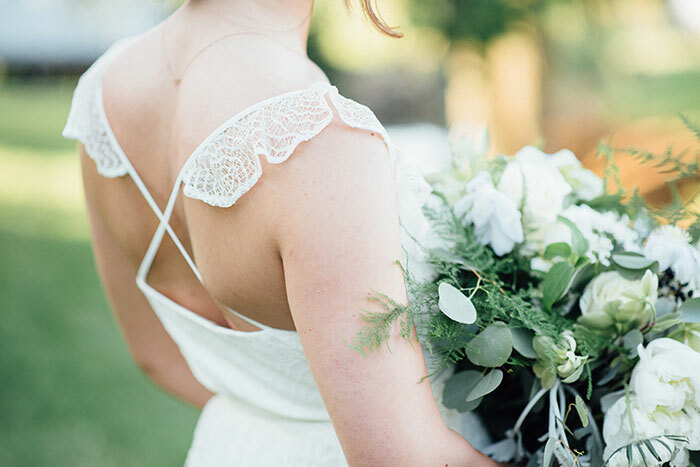 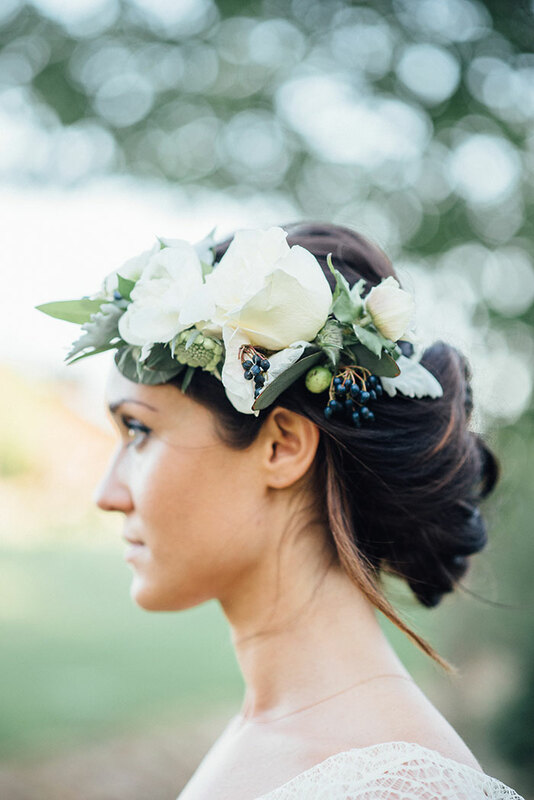 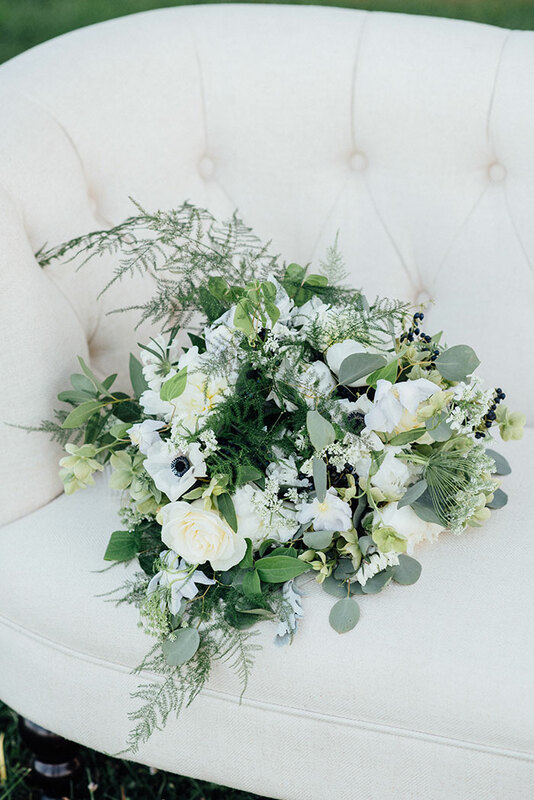 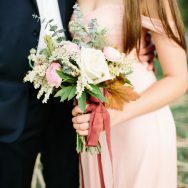 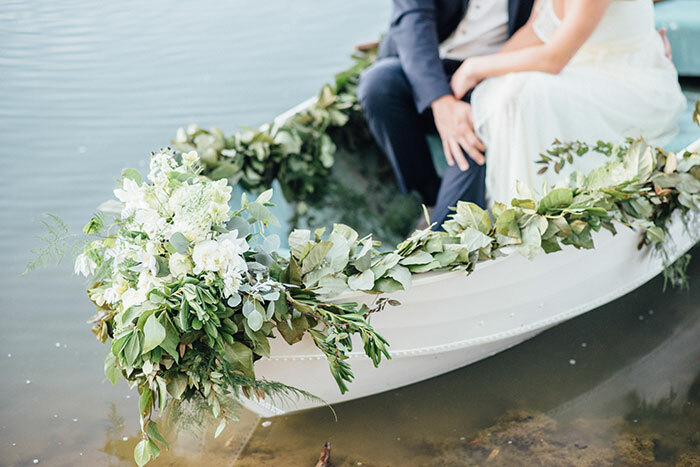 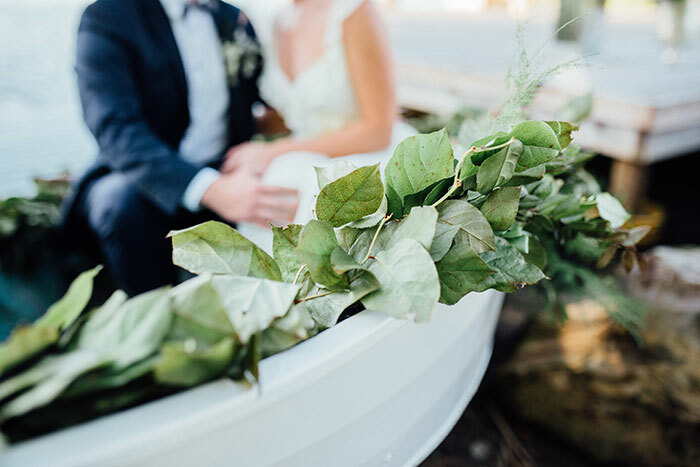 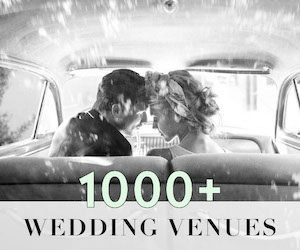 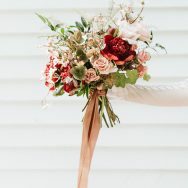 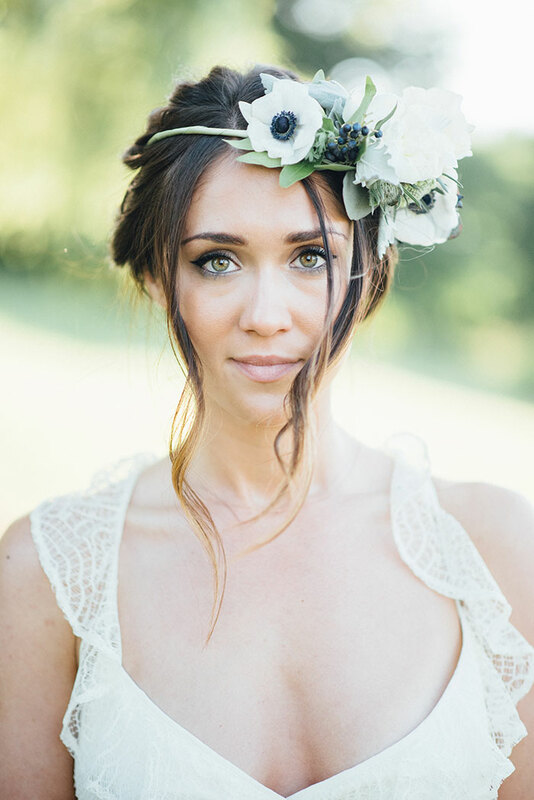 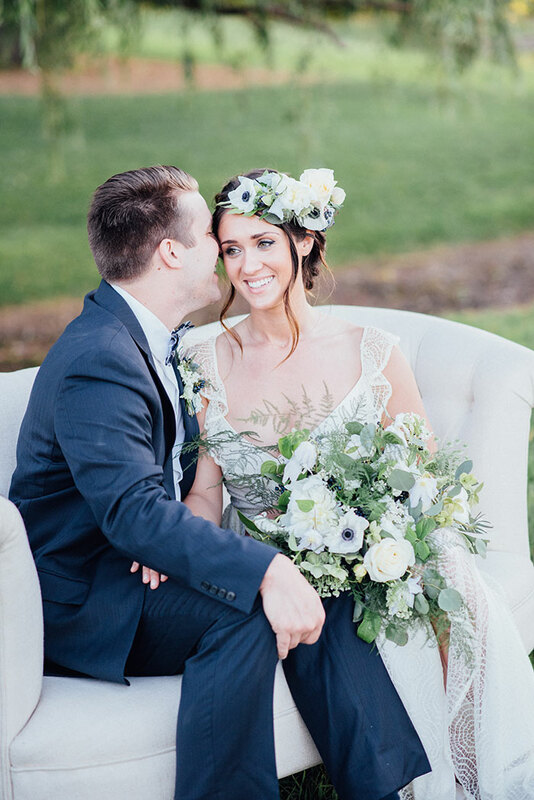 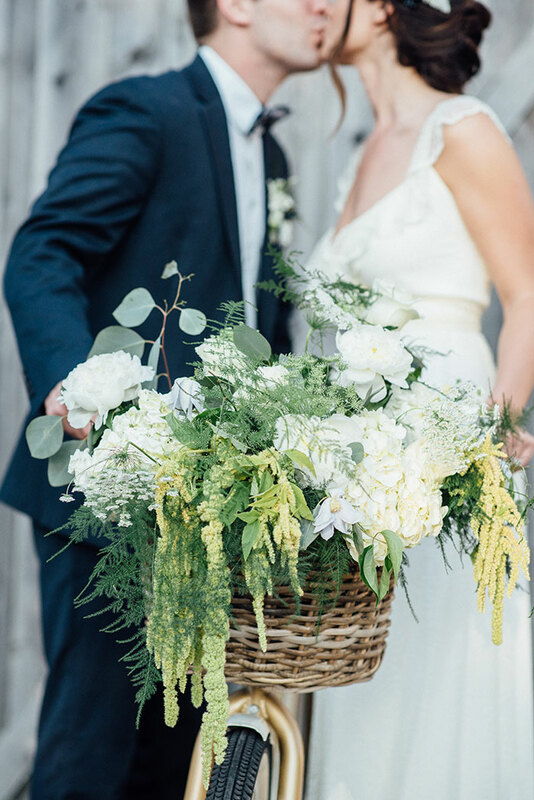 We’re loving the lush, rustic florals byGarnish Event Design and the way that Eva Lin Photography captured the light and details of the gorgeous shoot.